Information: Growing Gardens is forming a regional Professional Learning Community (PLC) for classroom teachers and garden educators to support each other in using school gardens to enhance curriculum and increase student engagement. 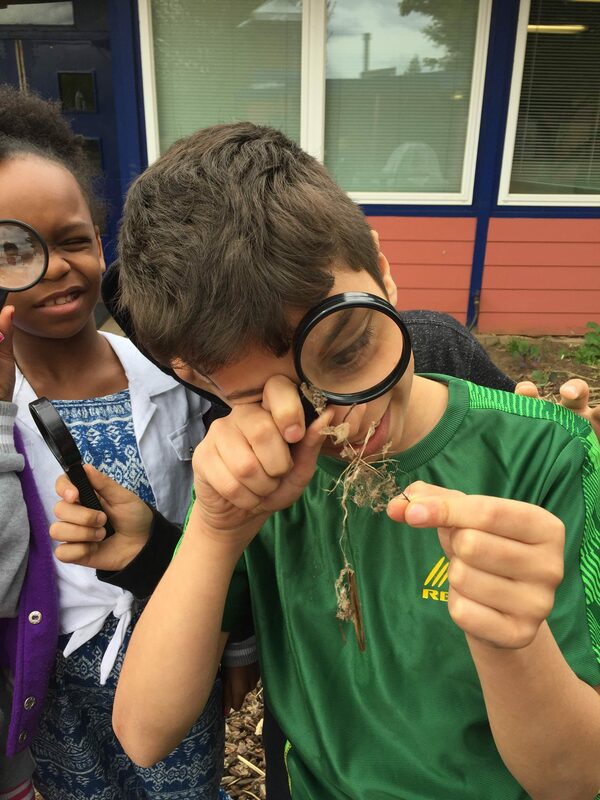 We are recruiting up to twelve school K-8 classroom teachers, as well as professional Garden Educators, to find new ways of working together to use school gardens to meet classroom learning goals and the needs of their students. We anticipate the PLC helping teachers: 1) identify ways to use school gardens to enhance students’ knowledge, 2) create and adapt existing hands-on lessons and curriculum materials, 3) work collaboratively to align garden-based curriculum and instructional practices with new educational standards, 4) share resources and support each other in implementing new practices and, 5) find new ways of involving parents and community volunteers in students’ learning experiences. This project has been funded by the Gray Family Foundation. January – March: cohort meetings once each month on weekday evenings 5-8pm (Jan. 17, Feb. 21, Mar. 21.) Dinner provided. May: final meeting/celebration, reflection & evaluation (May 30th 5-8pm). Dinner provided. How to Register with Growing Gardens: Fill out this simple web form. Credits: Participants have the opportunity to earn two graduate credits through Portland State University Graduate School of Education Continuing Education (CEED) program for their professional development work as part of this PLC. The cost for the credits, due to PSU is $120. For the process to register for PSU credit, click here. Stipend: Participants who attend all 4 sessions and complete the assignments will receive $100 towards the purchase of garden supplies and/or curriculum for their school garden activities.